I received a sample product in exchange for this review. All opinions are my own. I don't know if you guys are familiar with Molton Brown, but they are one of my all time favorite brands! Molton Brown is an incredible luxury bath and body brand based in London, England. They create some amazing unique scents that make bath time a real treat! 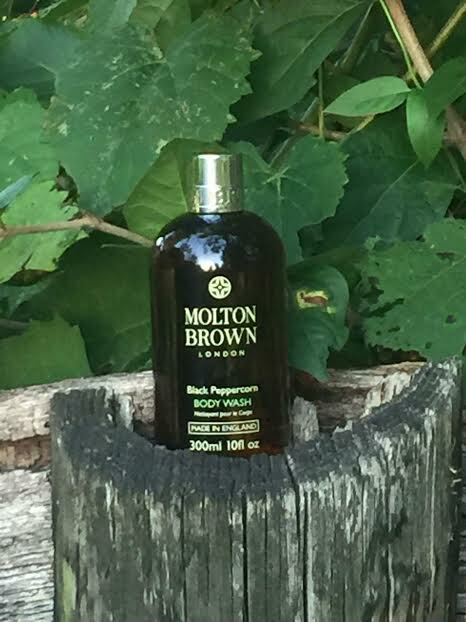 We recently got a chance to review the Black Peppercorn body wash from Molton Brown, and it is really amazing! 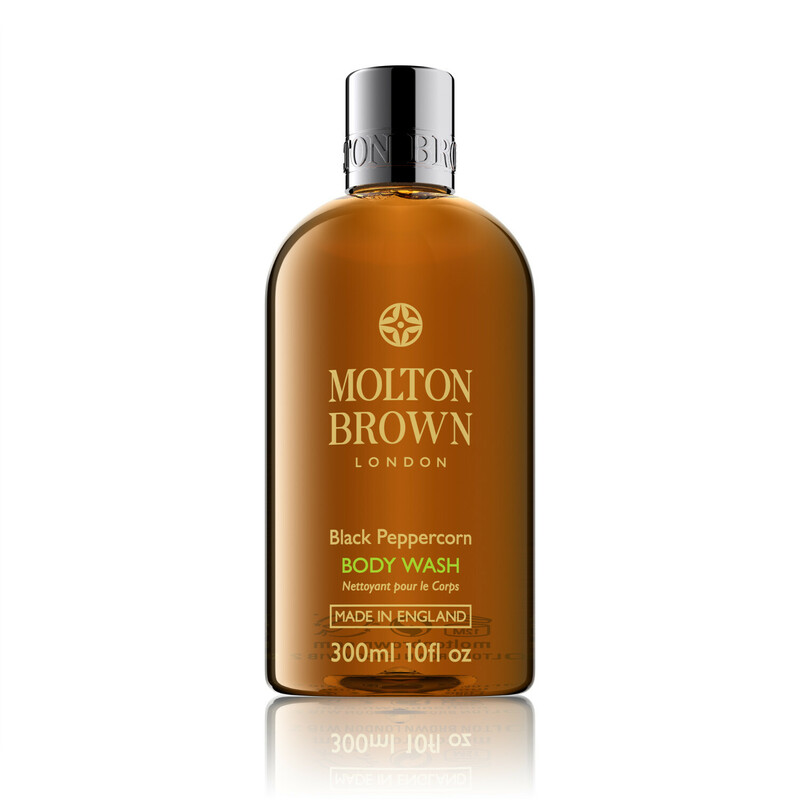 This body wash is made with Madagascan black pepper, and has hints of coriander and basil. It really makes for a peppy shower experience, which is great when you are trying to wake up in the morning! 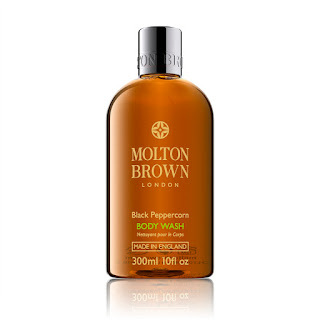 The body washes that Molton Brown creates are extremely luxurious, which makes them worth their high price tag! I love this body wash for my husband, it makes him smell great! Check out all the great scents that Molton Brown has to offer at their website, and don't forget to follow them on Facebook, Twitter, and Instagram to stay up to date on all their newest products!